Climate change is one of the big challenges for the future. It’s the reason why the Réseau Méditerranéen des Écoles d’Ingénieurs – RMEI (Mediterranean Engineering School Network) launched the Climed project in 2014. Its first weather stations are now operational. “The main point of Climed is to make students more aware of the environmental problems in the Mediterranean. Climate change is a reality which could directly impact their future professional activity and political and economic life” – Olivier Boiron, director of the MESN. Concretely, the project’s partner schools are equipped with weather stations which function in a network around a communal platform. These stations offer the possibility to collect data allowing us to measure climatic variations such as temperature, atmospheric pressure, and wind speed as well as data linked to pollution such as nitrogen oxide concentration. The problems with sustainable development which can differentiate depending on the country are taken into account. 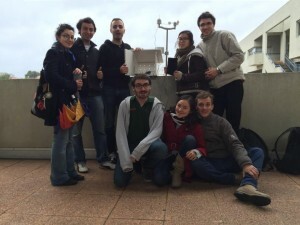 The first weather stations are now operational in Sousse, Marseille and Beirut. Having a limited budget, the students have had to display real ingenuity. The MESN plans to take the project even further. If it manages to find the necessary funding, it plans to organise a series of conferences on topics linked to climate in schools which will be broadcast online and also made accessible to the public. The Climed project will be presented during the second conference of neighbouring Mediterranean countries on the climatic changes at the Cope22 which will take place in Marrakesh from the 7th to the 18th of November 2016.